Started from the bottom now we here. 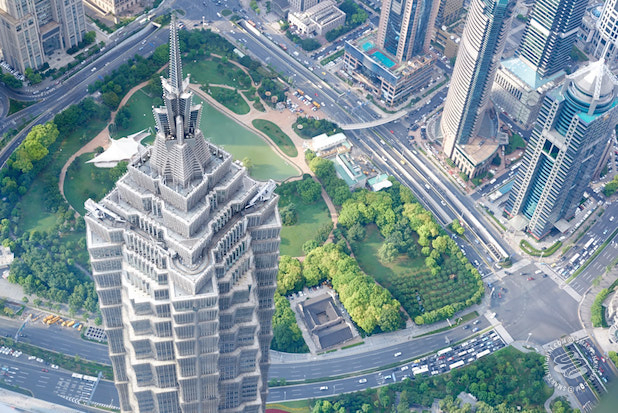 SmSh takes a trip up Shanghai's new tallest building ever. There's a new kid in town. 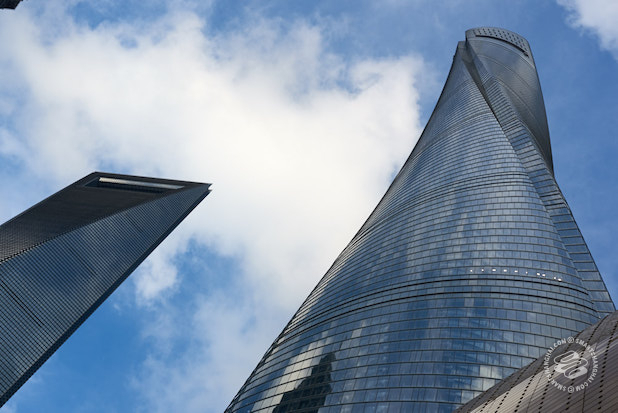 The Shanghai Tower. Just moved into Pudong. Dad's here on a sweeeeeet relocation package. It's looking around the school yard, sizing up all the other kids out there -- the Jin Mao, the SWFC. Head and shoulders bigger than everyone else -- growth spurt! 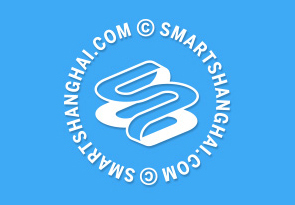 -- the Shanghai Tower, new kid on the block, just looking for its place in the world. Only the Burj Khalifa in Dubai is taller, though the Shanghai Tower has a higher observation deck (the Burj Khalifa's is 555 meters high). 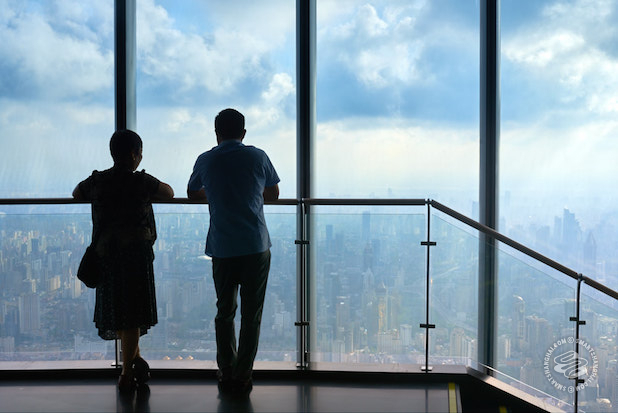 In July, the tower quietly opened their observation deck to visitors. SmSh took a ride to the 118th floor to take a look around. Jun Xia taking the lead on design. - Construction began in 2008 (watch a time-lapse video), though the project was conceived as far back as 1993. The total cost was 2.5 billion USD. 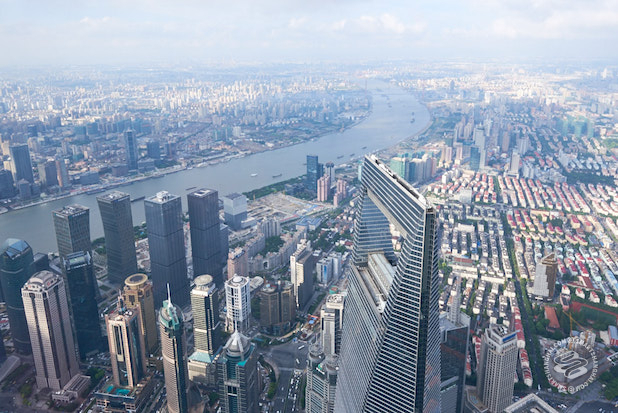 - Shanghai Tower has nine zones among 128 floors, including offices (floors 8-81), indoor gardens (nine in total), retail (B2-5), the observatory (118-120), and a luxury branch of the Jin Jiang hotel (84-110). - For stability, the tower uses a twisting design (which also saved 54 million USD in materials), copper plates, and magnets. - Designer Jun Xia said, "It does not seek to be the world’s tallest, to be sure, but it certainly aspires to be the tallest green building." Seems that worked out. The U.S. Green Building Council gave the tower a LEED® Platinum Certification, though the building's actual carbon footprint will depend on management. - The tower collects and reuses rainwater for the heating and air conditioning, and reduces the need for AC by using double-layered glass. The main entrance is located near the corner of Huayuan Shiqiao Lu and Yincheng Zhong Lu. 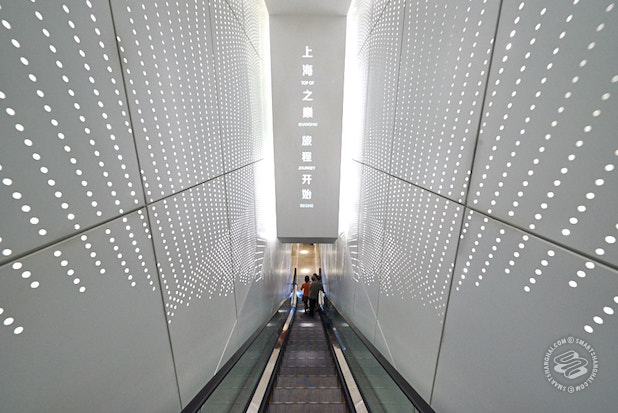 Staff will guide you down an escalator to the entrance where you can purchase tickets. 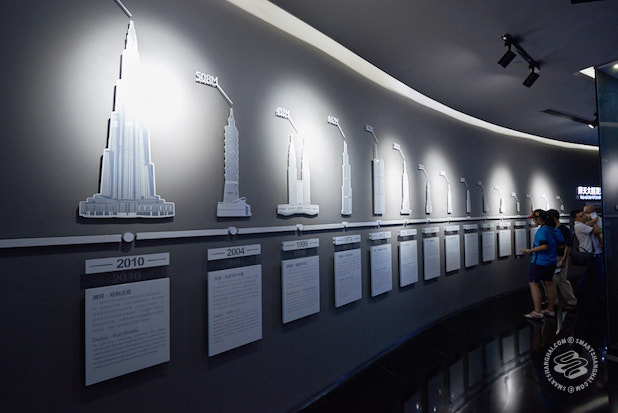 The bottom floor has a few areas showcasing the tallest buildings in the world and their stats. 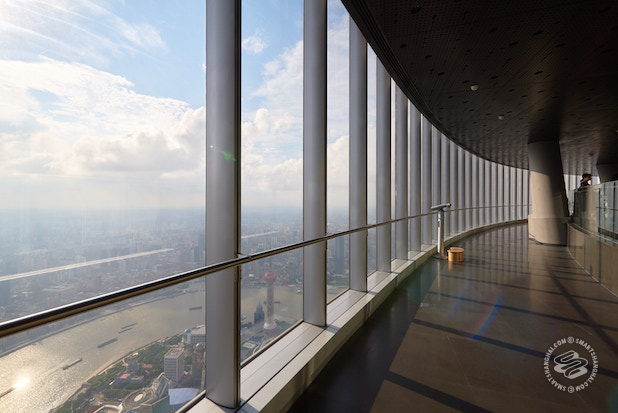 There's also a section about the the Shanghai Tower -- apparently it's got the fastest elevator (built by Mitsubishi) and the highest swimming pool with a view in the world. Cannot wait to write that article. 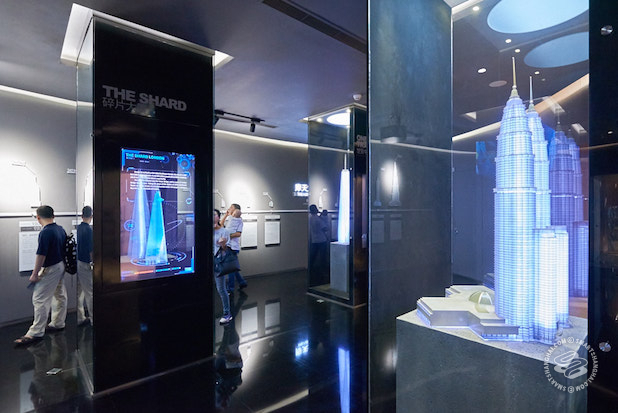 In one area, there's a disappointing light show with a 3D-printed model of the tower -- never change, Shanghai -- but the holographic-like screens and see-through LCDs providing info about the tower is pretty cool. Then you go down even further underground to get to the main elevators that warp to the peak. How fast? The elevators here hit a maximum speed of 18m/s, taking you to the 118th floor's observatory in under a minute. That's Charlie and the Chocolate Factory fast. There are no in between stops. It's just one ride from the basement to the top. The observatory on the 118th floor shaped like a donut with the elevators in the center, giving you a 360 degree view of the city. One day, some genius will take a panoramic view from the tower. And YouTube will applaud, applaud, applaud and rain down 'likes' on said genius. Remember when you looked down from the Bottle Opener (SWFC) with awe and vertigo? That's so 2013. That ain't nothin' now. There's some fantastic views up here, no matter which way you look. Seems like people still aren't too aware that the tower has opened, so weekdays aren't busy (at least, not yet). 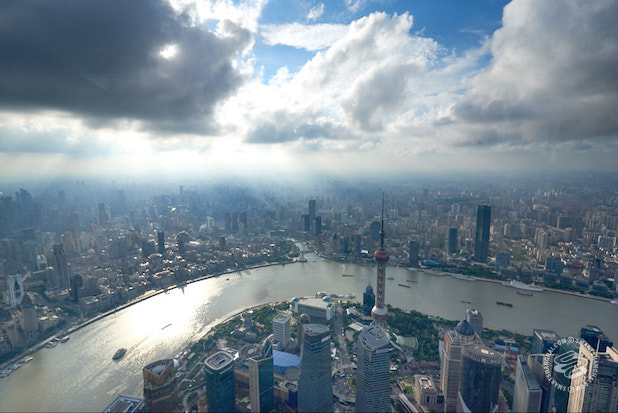 On Monday, the Shanghai World Financial Center had a longer line for tickets. Weekends are a little busier, but they open up the 119th floor as well. During weekdays, the staircase to that floor is closed off on the 118th floor. Unlike the SWFC, the "sky walk" here is digitally created by some high def monitors installed on the flooring, however this is not up and running yet. 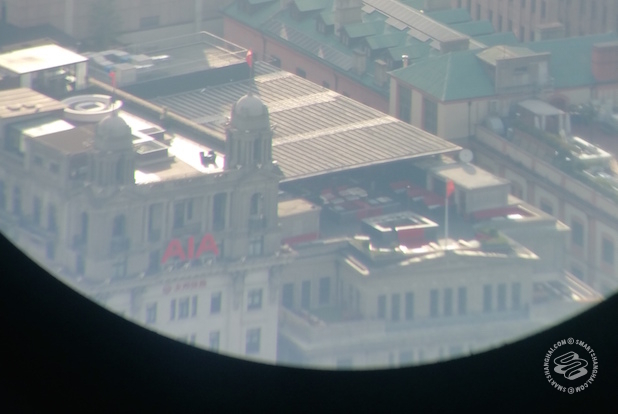 The coin operated binoculars cost 2rmb for 120 seconds. The viewing quality isn't great, but you can spot a few far out details. 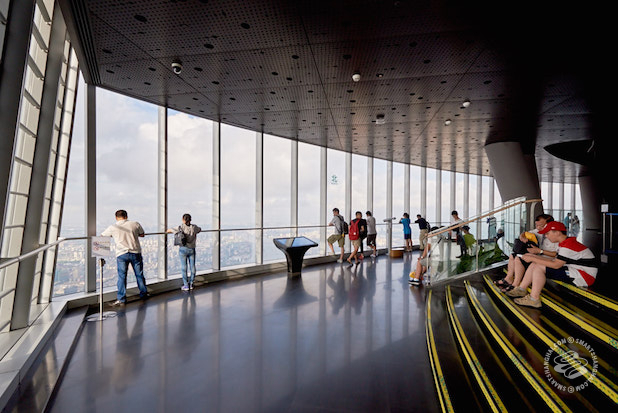 According to the staff, floors 125 and 126 will eventually open as observation decks, although they don't know when. Those decks will be at an elevation of 580 and 583 meters, respectively, making them the highest in the world. 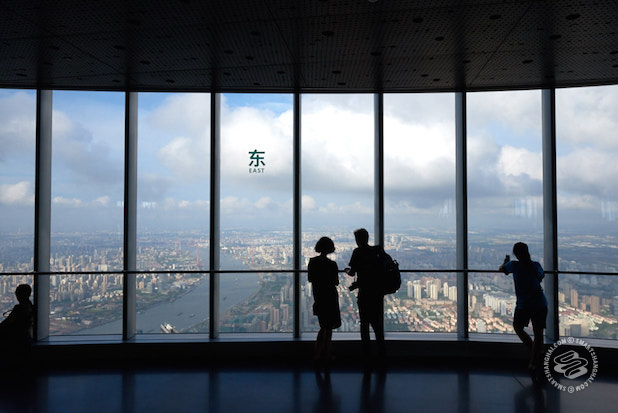 Clearly there's lots more coming in the Shanghai Tower -- stay tuned for more features. 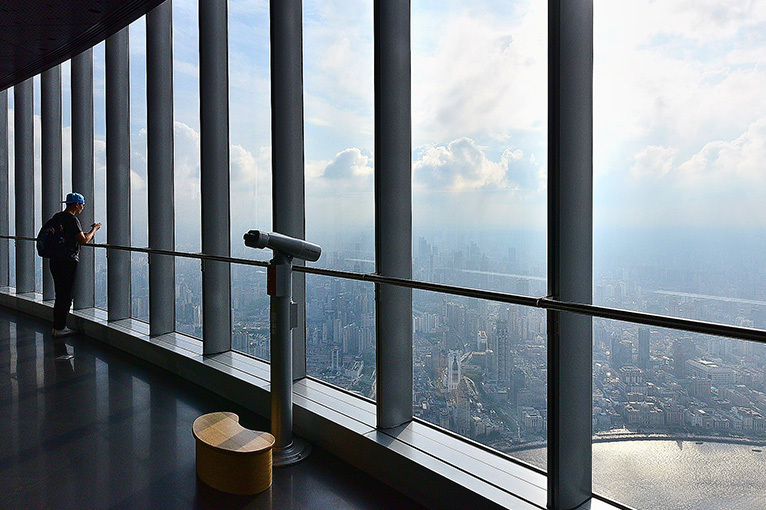 The 118th floor (and the 119th on weekends) are open from 9am-9pm daily. What about those 'indoor gardens' between the two layers? You ran an article last year saying they are supposed to be open to the public for free. Any news on that?